Geoff Johns’ work as of late has been lacking that certain spark it had years ago. Maybe the man is stretched too thin between his creative and writing duties over at DC. Regardless, Justice League of America is a return to form, as Johns crafts a tight and impressive story that builds on the all-important character introductions while keeping the tension and laying the foundation for an interesting first arc. Character moments really sell this book, especially when all the heroes gather in the main room for a debrief. 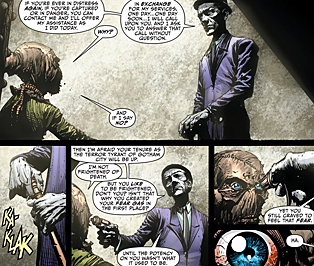 Johns throws a bit of humor into the situation, using Vibe as the outsider through whom we see the rest of the Justice League members. We still haven’t seen the team acting together as a team, but the personalities of the characters are well established by the end of the issue. Johns also does a great job of building the mystery. An odd, Joker-like figure is introduced in the beginning and given a few pertinent moments throughout the book. Where Johns went for the gusto with Justice League, bringing out the big guns by making Darkseid the villain of the first arc, here he seems to be taking a more even and pragmatic approach. The threat is still nebulous, but this makes the characters all the more interesting rather than having the bad guy take center stage. My only complaint about the book is David Finch’s art. Because Johns has so much storytelling occurring in this issue, Finch uses small panels, which do not flatter his style at all. Characters often look blurry and chalky. The inks fail to give characters clear outlines, so they often blend into the panel without any real definition. Close-ups are a bit better, as they encompass more detail and better showcase Finch’s abilities. But these rarely occur and the lack of clarity distracts from the storytelling. Despite this, Justice League of America is turning into an interesting series. I’m curious to see how the first arc pans out. The less-than-epic feel has created a more even, toned comic that looks to be successful in making characters like Vibe, Hawkman and Martian Manhunter as interesting as Superman, Batman and Wonder Woman. Everything great about the X-Men is on display in this issue. Danger Room? Check. Sentinels? Check. X-Men operating as a team again? Greatest check yet. 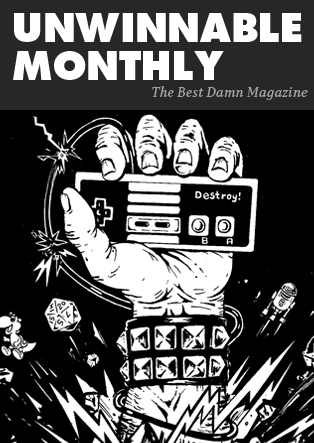 Where the current lineup is splintered and disorganized, Bendis brings readers back to the glory days of the X-Men in issue #9 of a comic that is arguably the best on stands. 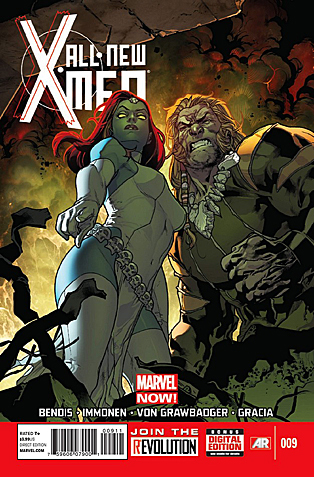 Kitty Pryde takes center stage as she fills the role reserved for a deceased Professor X. But where Charles was always more about teaching, Kitty is more about punishing. Watching the X-Men battle through a danger sequence was like stepping into the past. Bendis also uses this as a lead-in to the ever increasing powers of Jean Grey. Jean’s abilities come in handy quite a bit in this issue, and Kitty’s foreboding warning about playing in people’s minds is not easily missed. Furthermore, Bendis gives the comic a slow burn until it reaches its climax, which hints that we’re finally going to see the old Scott meet the young Scott. Bendis also plays with the heavy emotional weight the characters must feel knowing their fate. Scott, in particular (and understandably) carries the most baggage, and the splinter between him and Jean is a focal point of the issue, highlighting the emotional rift that has developed since the old X-Men came to the future. And Stuart Immonen’s return to the book is a thing of beauty. A lot of the action shots are a bit chaotic, but Immonen keeps the imagery sharp and detailed. Cross hatching and shading are well executed, perfectly aiding the tension and emotion of certain scenes. In particular, Scott and Jean’s relationship is a showcase for this. All New X-Men keeps getting better with every issue. Bendis adds layer upon layer of story, builds tension, and keeps the reader intrigued from page one to page 22. For those pining for the glory days of the X-Men, this is your book. Nowhere else will you find a nostalgic love of the past perfectly coupled with an intense respect for the present. Bannen’s Book of the Week: Dan Slott keeps weaving his story tighter and tighter with each issue, and now the cracks in Spider-Man’s facade are starting to show. What makes the issue work is the way Slott bounces between Ock’s ferocious persona as Spider-Man and his tortured inner self that pushes the boundaries of what he knows is socially acceptable. Ock’s behavior has raised the eyebrows of his Avengers teammates, and Slott makes sure to plant that seed early. The tension built from the beginning of the book to the end is only aided by less Peter and more Ock. We get inside Otto’s head, but the moment only goes to reinforce Ock’s actions against his C-list villains, Screwball and Jester. 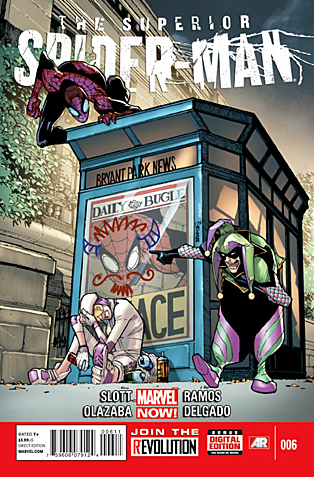 And here’s where Slott interjects the traditional Spider-Man humor. The plot focuses on how Screwball and Jester make fools out of their victims in a fiendish (and clever) ploy to hack into viewers’ bank accounts in order to steal their money. But Otto has some demons, and his reactions to humiliation are nowhere near acceptable. The comic is also visually impressive, as Humberto Ramos does some of his best work. Character faces are still not his strong suit, but action sequences benefit from Ramos’ taut, angular style. The final battle, in particular, is pretty harrowing due to the sharp lines and powerful poses of the characters. Where Slott pushed me away with the previous issue, he’s drawn me right back in with the current one. The threads he’s pulling are all interesting, and it’s clear that Otto’s days are numbered. The question is, though, how much damage will Otto inflict on Peter’s life before he’s forced out? From what we’ve seen, I can only imagine Peter having an uphill battle in an attempt to restore his standing amongst his colleagues, friends and family.